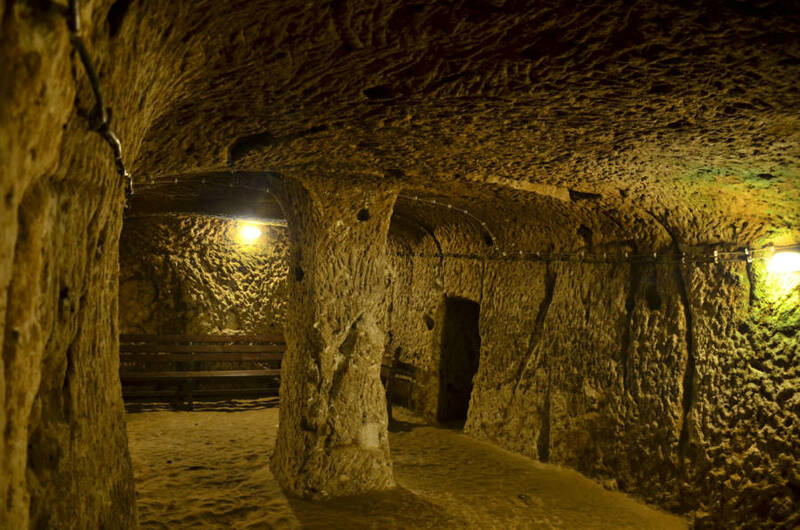 Step inside the unbelievable underground city of Derinkuyu, which has sat hundreds of feet below the Earth's surface for centuries. After billions of years of steady erosion, the region of Cappadocia looks more like a magical realm out of a fairy tale than central Turkey. Here, rocky hills and stone spires called “fairy chimneys” rise up out of the dusty plains of the Anatolian peninsula, while serpentine tunnels meander below. 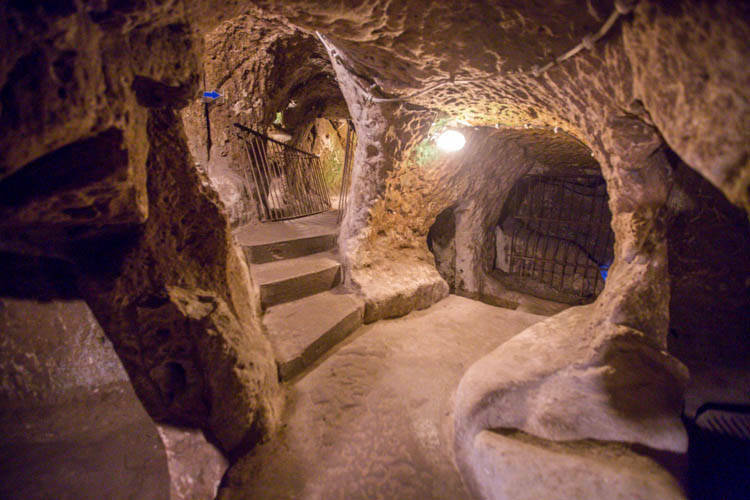 Most of those tunnels are natural — however, some are manmade. 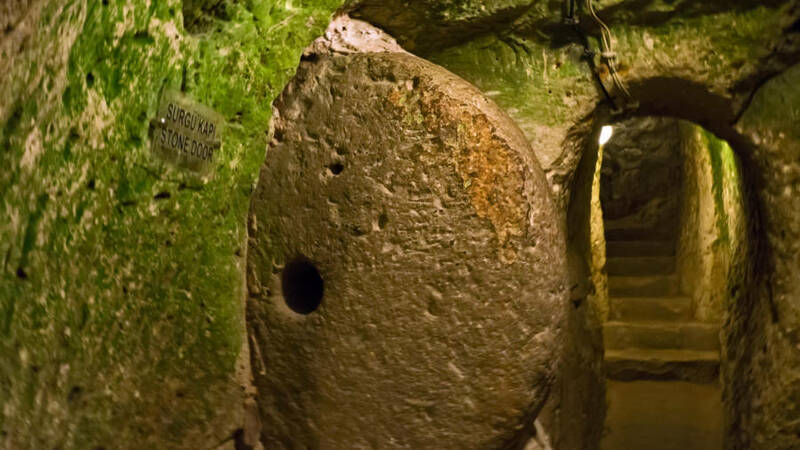 In 1963, a Turkish man took out a wall in his basement while renovating his house in Cappadocia, and was surprised to find a whole other room behind it. 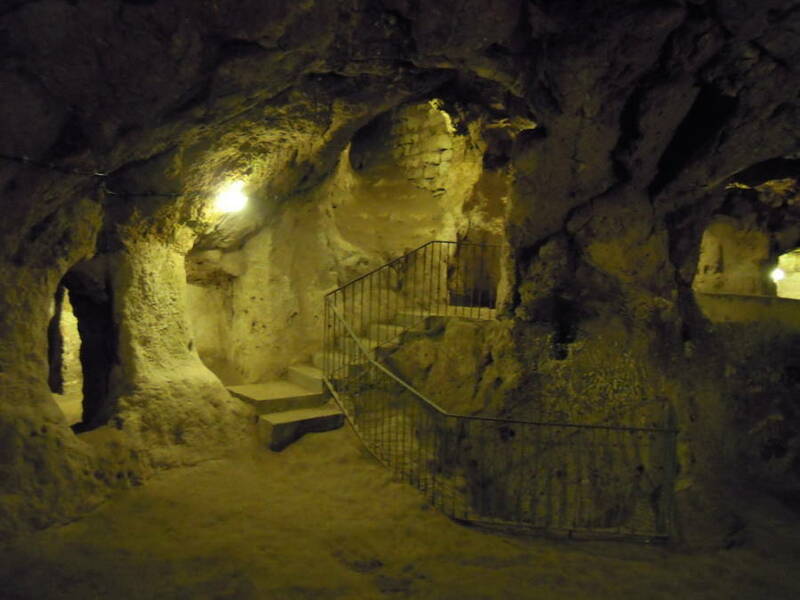 Further digging revealed a labyrinthic network of rooms several hundred feet below the Earth. 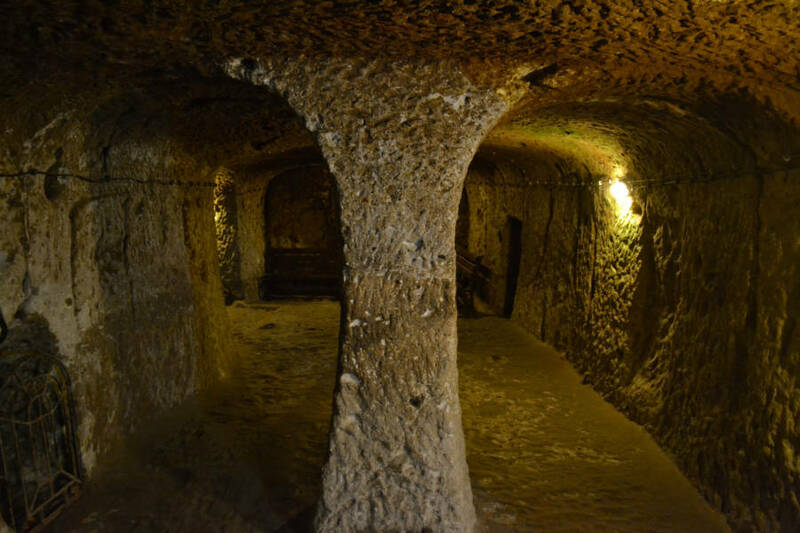 This was the underground city of Derinkuyu, carved into the same rock that grows in such mesmerizing shapes above ground. This was not the first such discovery in the region nor was it the last. 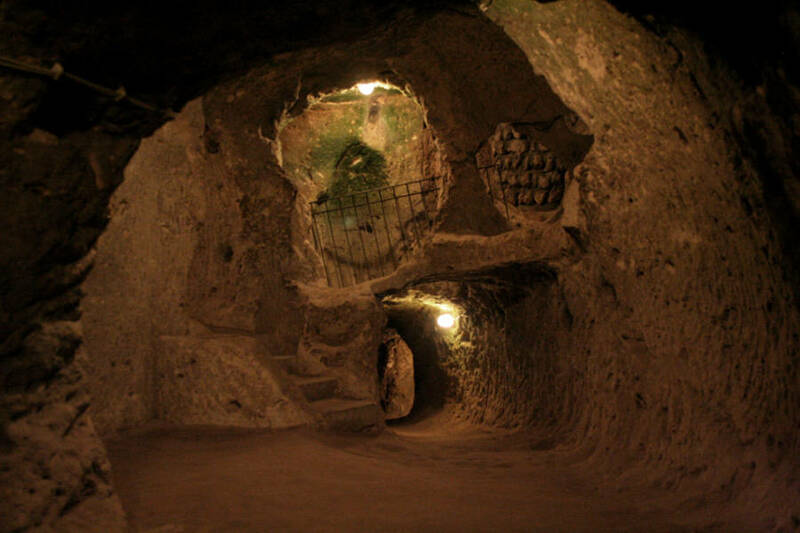 The area is known for its underground cities, of which Derinkuyu is the largest. The city extends 200 feet into the ground and encompasses 11 floors, which is enough to shelter 20,000 people. 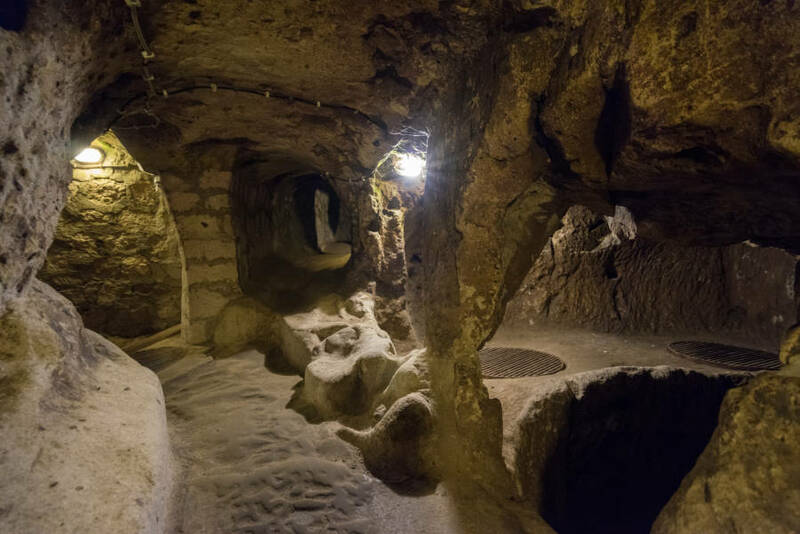 While only 2,000 square feet of Derinkuyu has been discovered so far, the Cappadocia tourism website says that it might extend to as much as 7,000 square feet. 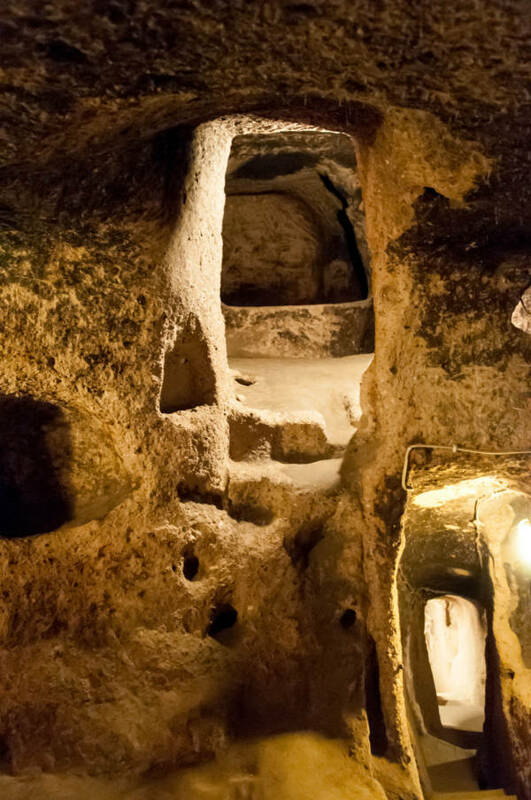 During invasions or times of religious persecution, Cappadocians, who were a part of the Christian minority, fled into the tunnels for safety. 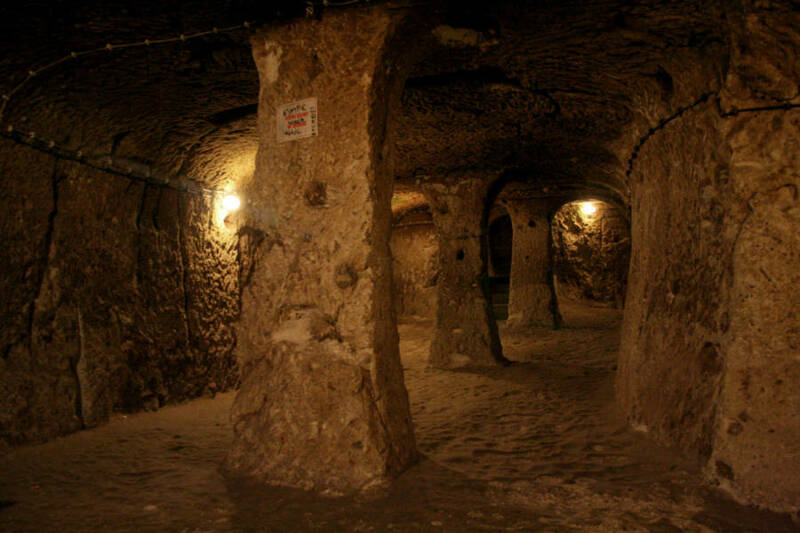 The Christians of Cappadocia did not build these tunnels, however. Historians believe that they were built by the Phrygians, an Indo-European people, sometime between the eighth and seventh centuries B.C. Others suspect it was the Persians or Anatolian Hittites. 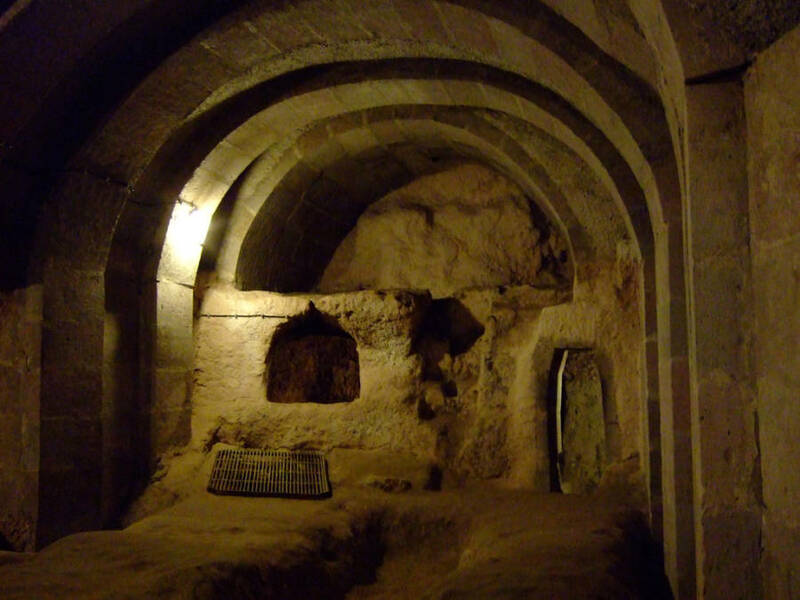 The Cappadocians, however, expanded the tunnel system and built chapels and churches as well. 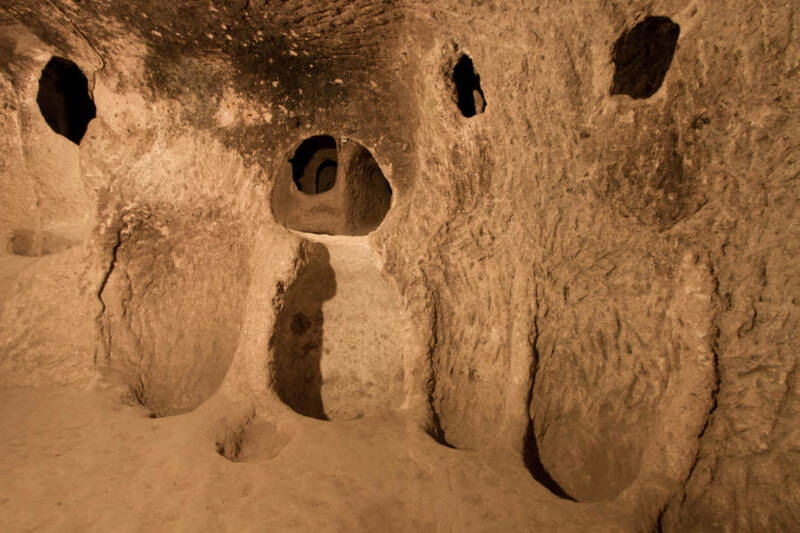 Below the Earth's surface, Cappadocians lived lives as fulfilling as those they'd led above. 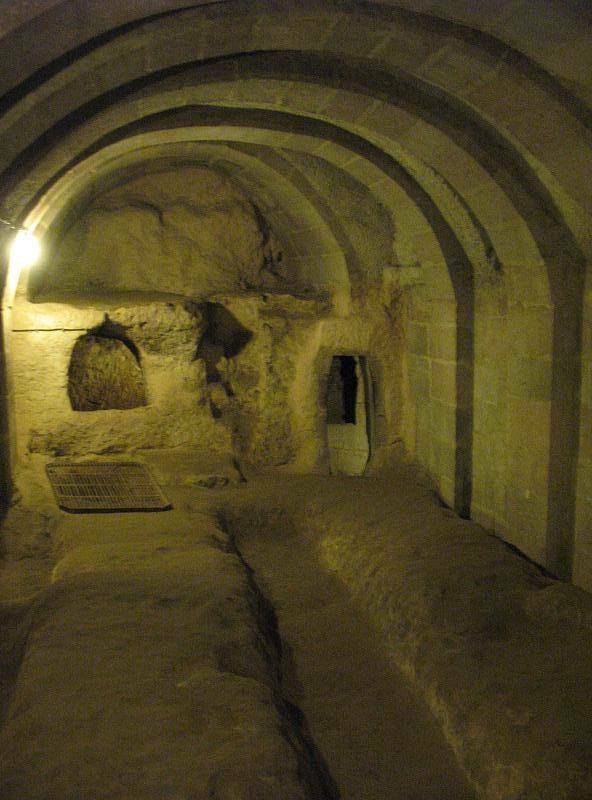 Derinkuyu was fitted with wine and oil presses, stables, cellars, storage rooms, refectories, and chapels. They even reportedly had religious schools and studies for students. On the bottommost level was a cruciform church carved directly into the rock. 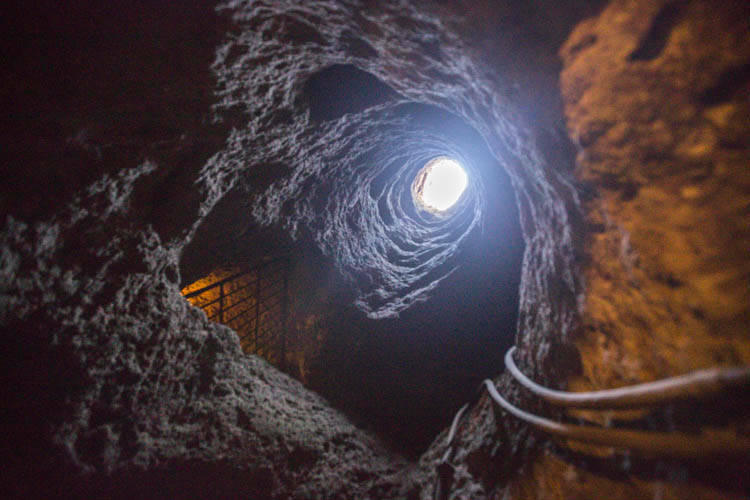 All the while, a 180-foot ventilation shaft provided both oxygen and water to those living below. 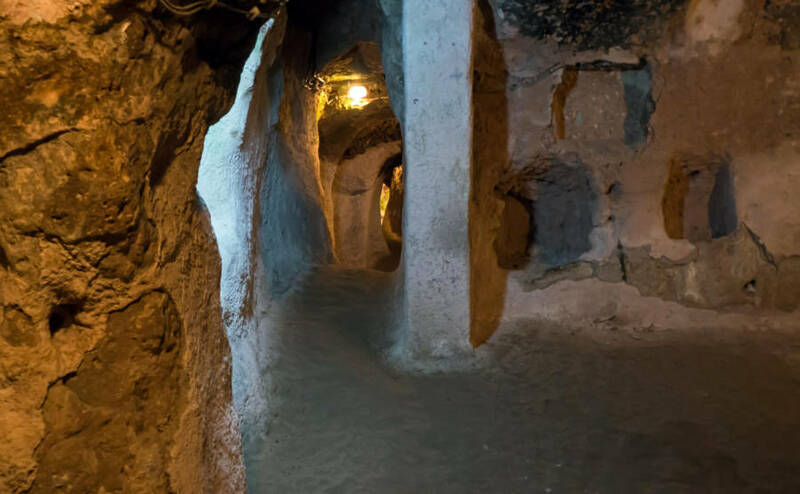 When attacked, the Cappadocians retreated into these underground cities for protection, blocking the entrance behind them and setting up boobytraps along the way. Byzantine-era Christians were one such group, using Derinkuyu as a sanctuary from Persians, Arabs, and Seljuq Turks. The Christians of Cappadocia faced persecution even in the 20th century, by which time the Ottoman Empire had control of the region. In 1909, the massacre of 30,000 Christian Armenians in the city of Adana drove the Cappadocian Greeks underground yet again. In 1923, most of the Cappadocian Greeks were expelled from the region in a population exchange between Greece and Turkey, an attempt to purge both countries of their respective religious minorities. 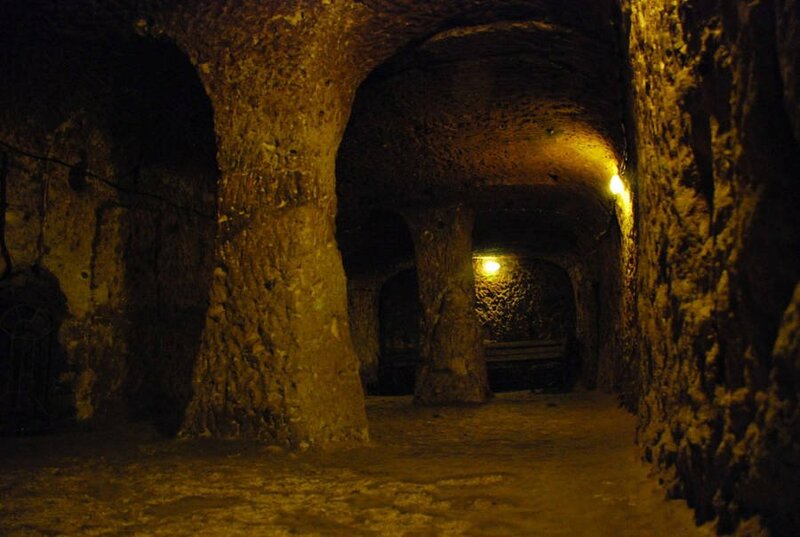 Afterward, Derinkuyu sat undisturbed until 1963, when the astounding underground city of central Turkey was rediscovered and finally brought into the light.